Larina Warnock is a teacher with a unique story. She was born into generational poverty and went to 15 schools from kindergarten through grade 12. She had her first child at 16, got married at 17, and dropped out of high school two months before graduation. After her first marriage ended, she earned her diploma from an alternative school. It’s here that Larina’s story really starts. 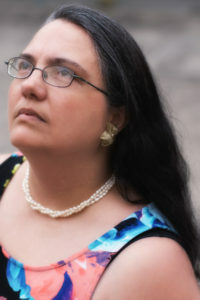 Larina has spent most of her adult life trying to understand poverty and trauma, as well as advocating for the rights of underrepresented populations. She has a special interest in disability rights, poverty, and institutional discrimination based on race, disability, or socioeconomic status. Her true passion is education reform. Because education is not a means to an end; it is a means to a beginning. Larina puts her passion for understanding and systemic change into everything she does: writing, teaching, and speaking. Explore this site to read some of her work and learn how to book her for an event today. Looking for my blog? It’s right here! Do You Have a Story about a Future SEDE?